Phonics is the main strategy that we use to teach the children to read and write. 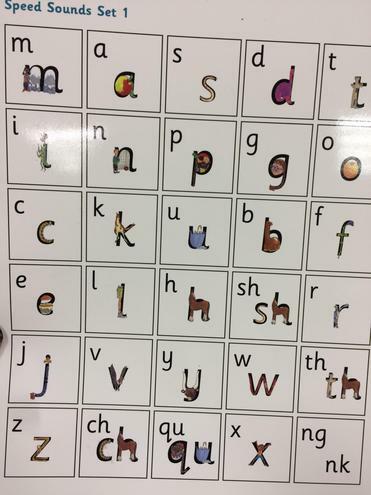 At the end of Year 1, we will be doing a Phonics Screening Check. The phonics screening check is a short, light-touch assessment to confirm whether individual children have learnt phonic decoding to an appropriate standard. It helps us to identify the children who need extra help so they are given support to improve their reading and writing skills. At Marshfield we follow the Read Write Inc phonics programme as a guide for planning. The progression can be seen below. 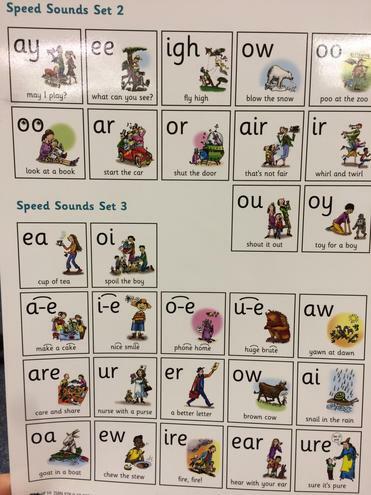 The children need to know all these letter groups by sound and be able to blend words containing them. Please practice these at home with your child. There is also a song to help the children remember.